On-farm practices with potential to improve the methane emissions intensity of cattle production and increase carbon stored in soil and vegetation were identified, demonstrated and evaluated in six regions across Australia’s northern grazing land. Improving the northern beef industry’s greenhouse gas emissions performance is important for its environmental reputation and may benefit individual businesses through improved production efficiency, profitability and possibly revenue from the carbon economy. Currently the northern beef industry is responsible for a sizeable proportion of national reportable greenhouse gas emissions (7–9%) through livestock methane, savanna burning, vegetation clearing and land degradation. Map of targeted beef industry regions across northern Australia (hashed). A. Victoria River District (VRD) and Douglas Daly, B. Barkly Tableland, C. Queensland Gulf, D. Mitchell Grasslands and Channel Country, E. Fitzroy Basin , and F. Maranoa Balonne region. Carbon farming opportunities were identified that could improve both business performance and emissions intensity. However, these opportunities were not without significant risks, trade-offs and limitations particularly in relation to business scale, and uncertainty in carbon price and the response of soil and vegetation carbon sequestration to management. Key opportunities included improving herd fertility and growth rates to maximise the amount of beef produced for the amount of methane emissions and increasing carbon stored in regrowth and pasture. Soil organic carbon was found to be highly variable in its response to management and land condition creating high soil carbon project risk. The Climate Clever Beef initiative operated from 2010–2015 over two project phases supported by the Queensland, Northern Territory and Australian governments, regional NRM groups, CSIRO, Meat & Livestock Australia and more than 40 grazing businesses. Determine the realistic magnitude of methane emissions abatement and sequestration and potential to profitably generate carbon revenue through the Australian Government’s Emissions Reduction Fund. Assessing soil carbon, pasture and regrowth at a Climate Clever Beef research site. The initiative achieved significant producer engagement and collaboration, particularly in the second phase which resulted in practice change by 78 people from 35 businesses, managing more than 1,272,000 hectares and 132,000 cattle. Grazing business case studies and research activities are documented and available on the Climate Clever Beef publications page, including project final reports, papers in a special issue of The Rangeland Journal and other journals, case studies and fact sheets and YouTube videos. The second project phase was co-funded by the Australian Government Department of Agriculture and Fisheries – Carbon Farming Futures fund, Queensland DAF and DSITIA, Northern Territory Department of Primary Industries and Fisheries, Fitzroy Basin Association, Desert Channels Queensland, Northern Gulf Resource Management Group and the Queensland Murray Darling Committee. 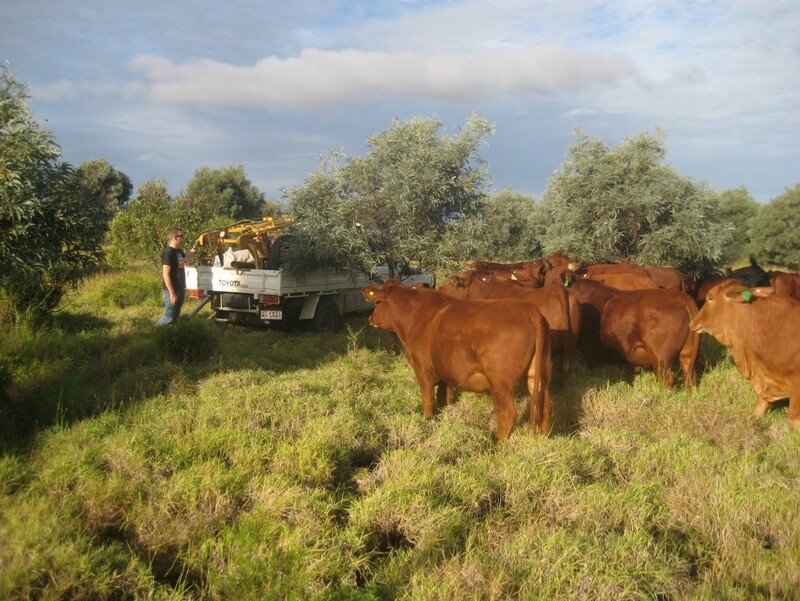 The first project phase was also supported by Meat & Livestock Australia. Download Climate Clever Beef publications including: scientific journal papers and reports, case studies, fact sheets, YouTube videos, field day handouts, newsletter articles, conference proceedings and posters.